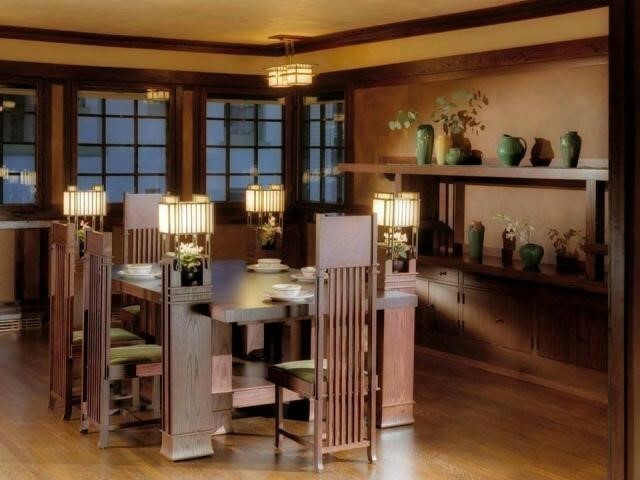 ﻿ Frank Lloyd Wright's Westcott House - Ohio. Find It Here. The Westcott House, the product of arguably the most important architect of the modern era, was designed in 1906 and built in 1908. In the early 1940s, the interior alterations-the conversion of the open floor plan into a multi-unit apartment building-changed the architecture so significantly that it no longer reflected the design intent of its architect.Due to these drastic alterations, the Westcott House remained an undiscovered relic for many years- a lost Wright artifact. Through the cooperative efforts of the Frank Lloyd Wright Building Conservancy and the Westcott House Foundation, today the Westcott House is an important rediscovery, a notable, newly-unearthed and revitalized example of Wright's legacy. 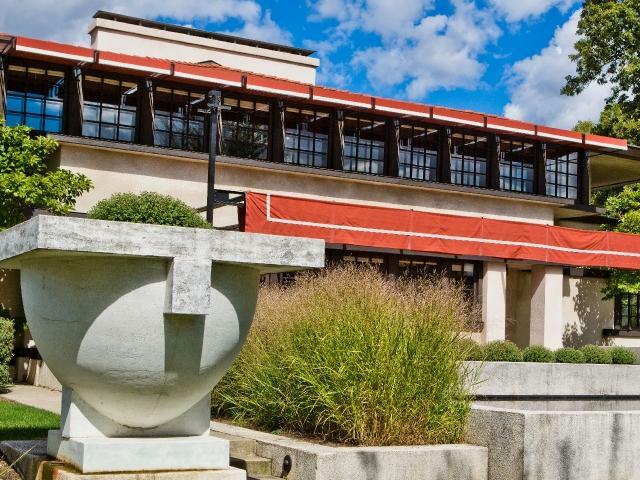 The Westcott House not only embodies Frank Lloyd Wright's innovative Prairie School architectural design but also extended Wright's concept of relating the building to its site by means of a terrace, a lily pond, gardens, and other landscape elements. An extensive pergola capped with an intricate wooden trellis connected the detached garage to the main house, a design element included in only a few other Prairie Style houses. The Darwin D. Martin residence, built in 1904 and located in Buffalo, New York, incorporates this concept.